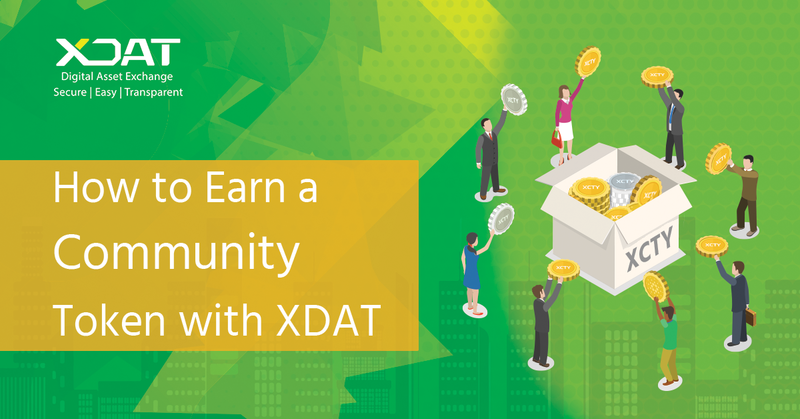 How can you earn a Community Token with XDAT? As we know, the crypto industry is moving at a rapid pace, evolving and changing constantly. Yet, it has massive potential for the addition of more users. In times like these, it becomes of utmost importance for a regulated crypto exchange that supports new users. We at XDAT are a new age compliant fiat to crypto platform, to provide investors with diverse features of security and seamless transactions. ‘Trust’ being our cornerstone. Breathing this objective to life, XDAT is excited to announce the launch of “The Bullwhip Movement.” On a pursuit to encourage a bullish (bull-like) purchasing behaviour for ubiquitous adoption of cryptocurrencies, especially in this bear market. We are investing €1,000,0000 to foster a wave of engagement in the crypto ecosystem. We are calling out to all interested, ‘messengers’ of trust who we shall be calling NODES, who will help us bring our vision to fruition. Our core belief is that only when You Grow We can grow. Join us, be our crypto ninja’s to facilitate widespread crypto trading and foster a crypto inclusive community by inviting new users. Help us reach out to new entrants and become a NODE. This is your window of opportunity to earn an exclusive COMMUNITY TOKEN with XDAT! Good news is that the community token is not the only thing we have in store for you! As a Node, you have the chance to bank €2000 into your wallet. Spread the word around! Know somebody who would want to become a Node? Direct them to our website. Link can be found below! Share, like and subscribe to our channels for more information. Exciting updates coming your way, stay tuned! www.XDAT.io XDAT is an EU compliant fiat — crypto — fiat exchange with 18+ trading pairs. We aim to be a platform that is Secure, Easy & Transparent for users.